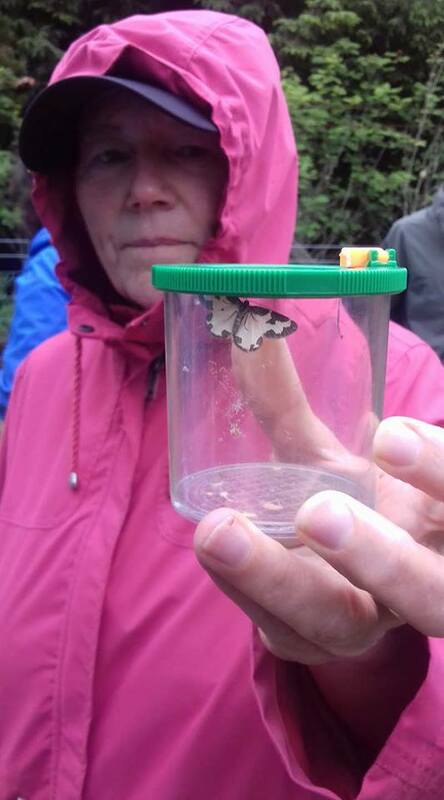 The somewhat drizzly and windy weather did not dampen out spirits on the first of three butterfly ID days in Ayrshire. For the morning classroom session we used the newly opened Fullarton Community Hub in Irvine which is an excellent new community space with great facilities. 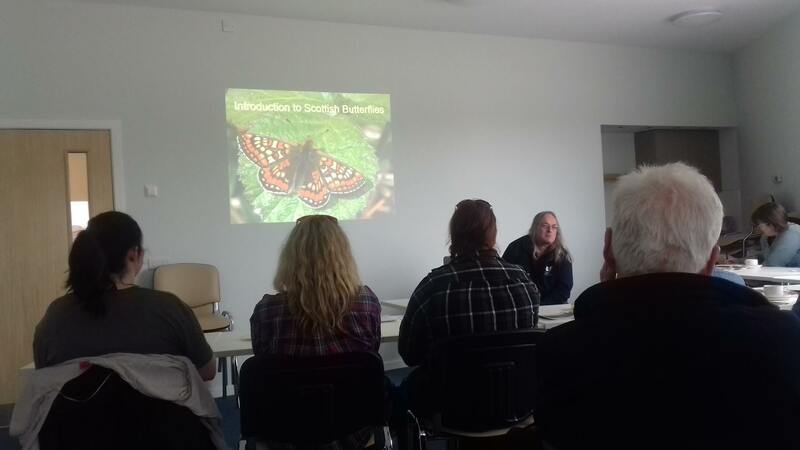 The morning session was lead by Scott Donaldson of Butterfly Conservation who gave us an in depth look at all the butterflies found in Ayrshire. Scott himself is a volunteer and his passion and enthusiasm for the species was contagious. We finished our morning session and after lunch headed across to the Scottish Wildlife Trust reserve at Gailes Marsh. Gailes Marsh features dry coastal grassland, marshland and a pond, all sheltered by mixed woodland. The species-rich grassland attracts many butterflies, bees, hoverflies and other pollinating insects. On a sunny day, the site would be full of butterflies, but the wind and rain made butterfly sightings difficult, apart from the hardy Ringlet who made several appearances. 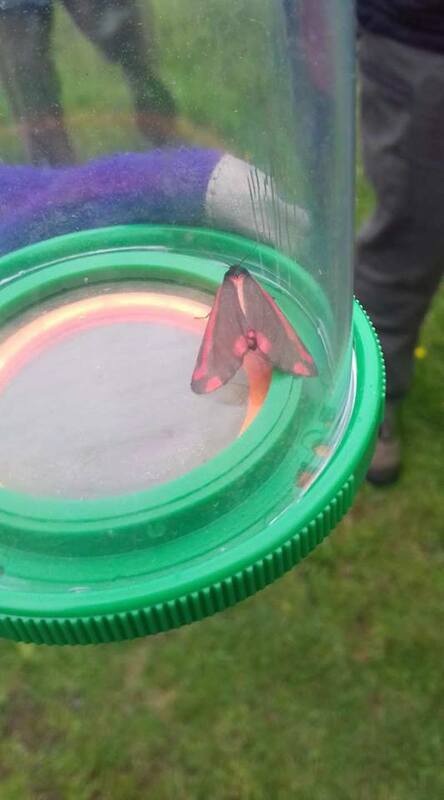 Scott was also a wealth of knowledge on day flying moths, and we were able to see some excellent examples of the Cinnabar and Clouded border moth. Although we may not have seen many butterfly species, the reserve did provide us with a range of other wildlife as outlined in the table below. A great day was had by all, and fingers crossed the next two butterfly ID days in East and South Ayrshire will be filled with glorious sunshine! A big thank you to Scott for giving up his free time to run the training, and to everyone who attended. We had many new faces which was great to see. 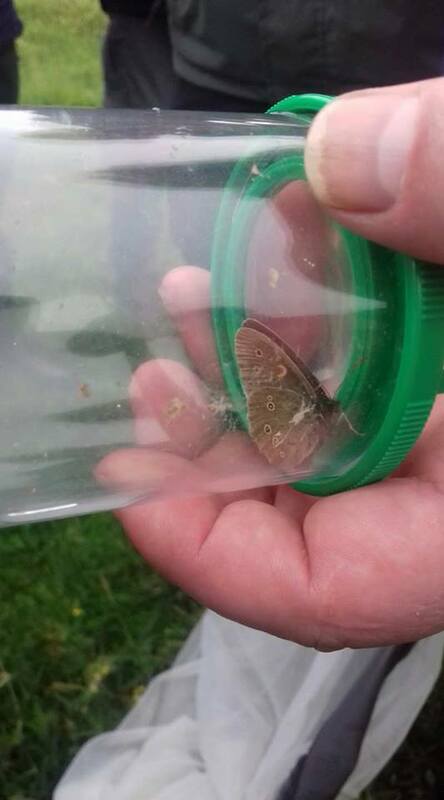 Don’t forget to submit your butterfly records to Where’s Wildlife in Ayrshire!